. Over the next few years, we’re hoping that Loon will help put high-speed LTE Internet connections within reach of more than 100 million Indonesians, giving them access to the limitless educational, cultural, and economic opportunities of the Internet. In Indonesia today, only about 1 out of every 3 people are connected to the web, and most of their connections are painfully slow. Many people live in areas without existing Internet infrastructure; on an archipelago of over 17,000 islands, with mountains and jungles, it’s difficult to run fiber optic cable or install mobile phone towers. That’s where Loon comes in. Loon balloons act like floating cell phone towers in the sky. Flying on the winds at altitudes twice as high as commercial planes, each one beams a connection down to the ground; as one balloon drifts out of range, another moves in to take its place. We hope this could help local operators extend the coverage of their existing networks, and reach further into rural and remote areas. 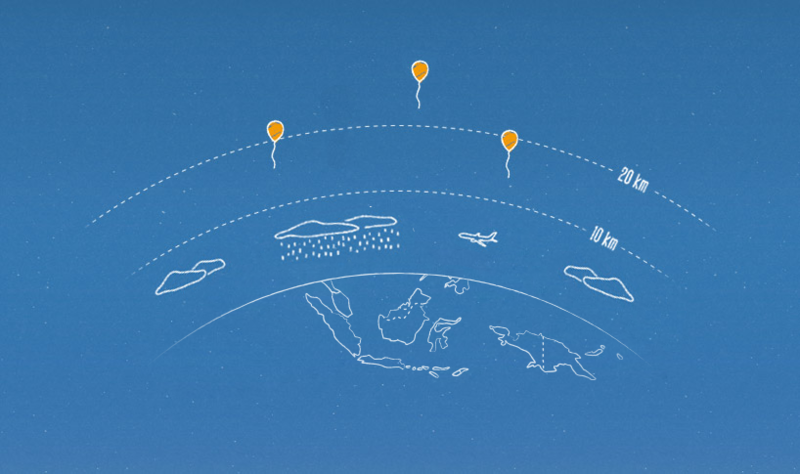 Project Loon balloons travel approximately 20 km above the Earth’s surface in the stratosphere. Winds in the stratosphere are stratified, and each layer of wind varies in speed and direction. 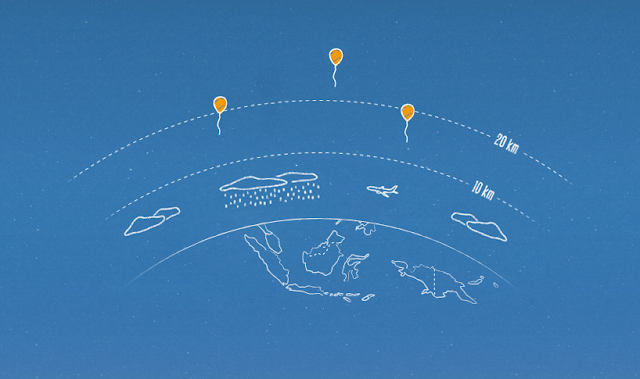 By moving with the wind, the balloons can be arranged to form one large communications network. These tests with Indosat, Telkomsel, and XL Axiata are an important step toward bringing all of Indonesia online, and a key milestone for the Loon team as we continue to test, learn and expand the project. Of course, to make the Internet not just accessible but useful, there’s more to do, and we have a wide variety of efforts underway in Indonesia and elsewhere to help achieve that goal. For example, Android One phones are helping to make affordable high-quality smartphones more accessible in places where most people first access the Internet on a mobile device. We’ve also built features for when connections are slow or nonexistent, such as Search Lite and offline videos on YouTube. And Google Translate for Bahasa and Sundanese can help knock down the language barrier between Indonesia and the rest of the web. The Internet is still out of reach for too many people, but we’re making progress. If all goes well, soon many more millions of people in Indonesia will be able to bring their ideas, culture and businesses online. At that point, the sky’s the limit. Starting next year, the top three mobile network operators in Indonesia will begin testing Project Loon balloon-powered Internet. 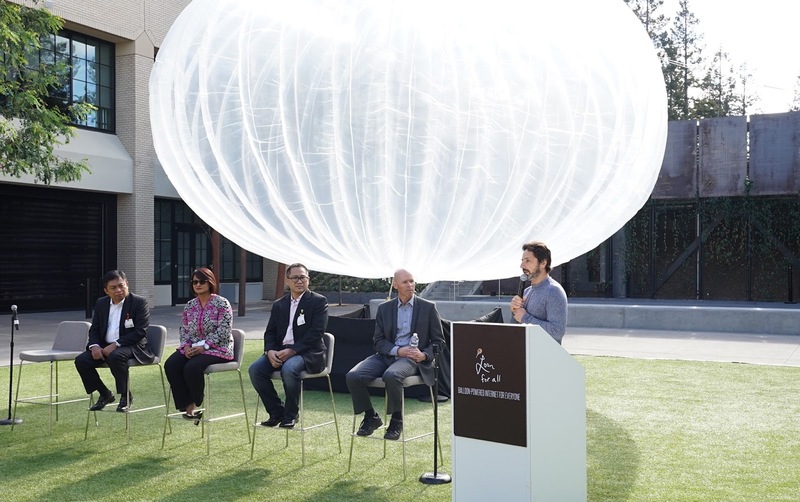 Over the next few years, we’re hoping that Loon will help put high-speed LTE Internet connections within reach of more than 100 million Indonesians, giving them access to the limitless educational, cultural, and economic opportunities of the Internet.